Milan Fashion Week has been well under way this week and one of the highlights was Jeremy Scott’s first collection for Moschino since he was appointed in October. It’s one of those how can you not have seen this collections! If you missed it though, here is a brief recap of the most talked about pieces, I’m calling it the McDonalds Moschino pieces, for obvious reasons. I’m not sure what I think of it, I wouldn’t wear it myself but did I expect anything less from Jeremy Scott, not really! The interesting thing about this collection is that even though it was for AW14, he has released a capsule collection of these pieces already and they are available to buy on the Moschino site, so I’m totally confused what season I’m in! 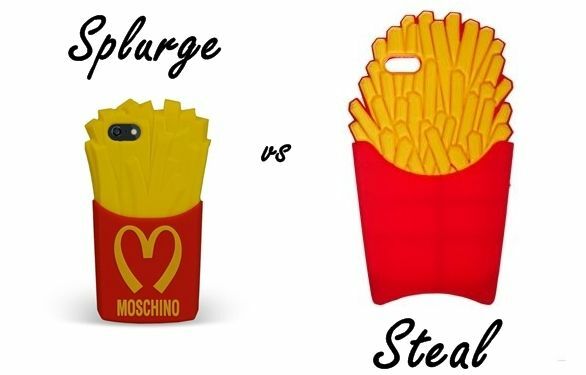 One item is the Moschino Fries iPhone case for £44, which is so quirky I actually quite like it. However if you are after a cheaper version check out this one from ASOS for £12, who actually had it first! UPDATED: Selfridges now have stock in on the case, click here! What do you make of the collection?